DesirousParty.com attracts an upscale clientel to both our events and website. 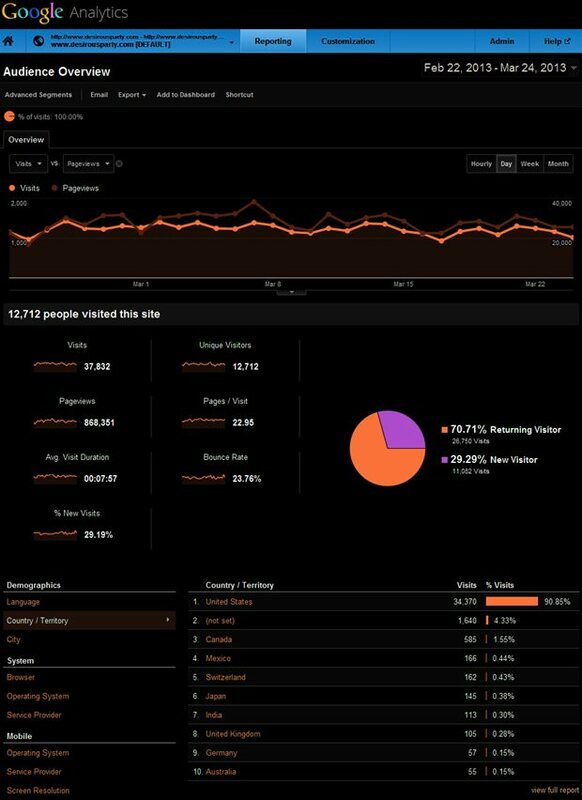 Below is a screen shot from our recently google analytics report. Google Analytics is considered the industry standard for measuring a website's organic traffic patterns.